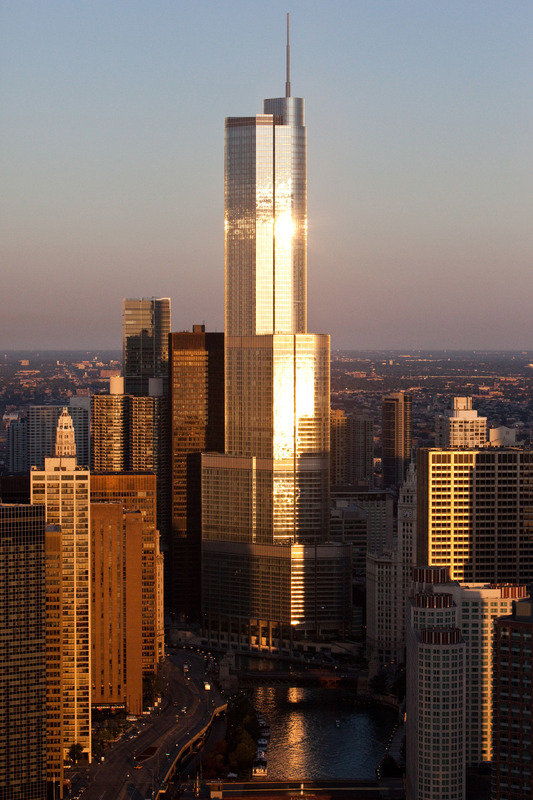 Soaring 92 stories above the Loop and North Michigan Avenue, Trump International Hotel & Tower® Chicago is a showcase of bold style and engaging design, polished stainless steel and iridescent-tinted glass. It is the tallest reinforced concrete building in the world, and downtown Chicago's most enviable address. 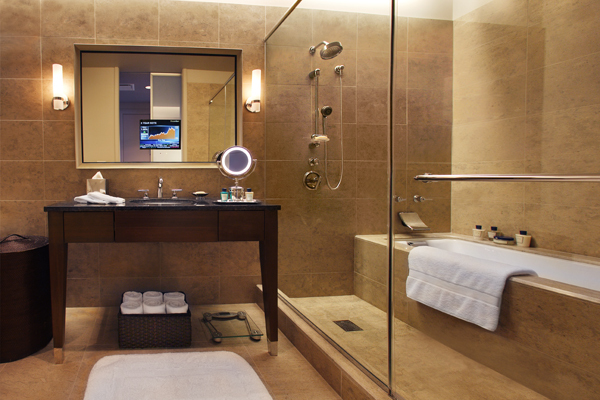 Inside this Five-Star Chicago hotel, impeccable style and spectacular five-star service defines the experience. Guests will enjoy a higher level of luxury with unrivaled hospitality and detail-oriented amenities, including the signature Trump Attaché™ service. A total of 339 graciously appointed guestrooms and suites welcome our guests with custom designed furnishings, floor-to-ceiling windows and fully equipped kitchens. Our signature Michelin-rated restaurant, Sixteen, showcases a thoughtful approach to progressive, French-inspired American cuisine, complemented by sweeping lake, river, and city views. For an important occasion, the sophisticated surroundings of the Grand Ballroom or City View Salons will offer the perfect venue to make a lasting impression. The 23,000 sq. ft. Spa at Trump® features an array of 5 star services with 12 treatment rooms and 53 spa guestrooms overlooking the Chicago skyline; all within walking distance to the best of downtown Chicago. From the exclusive shops of the Magnificent Mile to the historic sites along the Riverwalk, Trump Chicago brings sophistication and elegance to the heart of Chicagoland.